This procedure will only block the text messages and not the Whatsapp messages or calls from the number which you are marking as blocked. Now scroll in the options and tap on “Add to spam numbers” option and then find and tap the Add icon which will allow you to add phone numbers or any of your contacts saved in your device to your spam list. This was a tutorial for blocking single phone numbers or the numbers saved in your contact list. 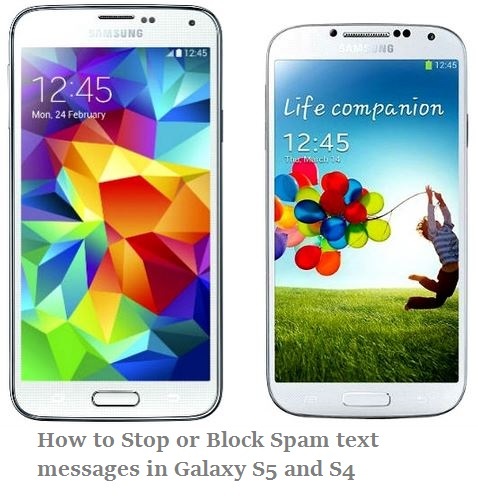 But if you are fed up of spam messages from your network provider or from a company which keeps sending promotional messages from different numbers there is an option to block numbers from a group of numbers starting with matching set of numbers. After you have activated the Spam Filter option you will find an option “Match Criteria” which should be selected and you can now block of send these text messages directly to Spam folder sent from phone numbers starting with a specific set of numbers. After this you will never be bothered with silly messages from a stalker or a promotional campaign or form your network provider sending you unwanted promotional messages. This doesn’t mention how to block message spam coming from an email address- just numbers. I can’t find a way to do that. My s4 does not have a spam option of any kind either. 3. This will show the complete (full) email address of the person who is sending it. 4. If this does not show the full address ( as they are making the addresses longer and longer), then, use the S-pen and selet the rectangular command. 5. High light the whole sender address area. 6. Click T to convert it to text. 13. Paste the copied address. Yes, it is ridiculous to pay so much money for a phone that makes you go through so much difficulty to stop spam…..
That’s a great tip and yeah it is becoming increasingly difficult to stop Spam in any Android phone let alone Samsung devices. My s4 doesn’t have the spam option either. I can add a number to spam, but I cant find a list of numbers that I have added to spam.